Train Station, Museum of the San Ramon Valley - Town of Danville, CA. Archival giclee, professionally and locally printed. 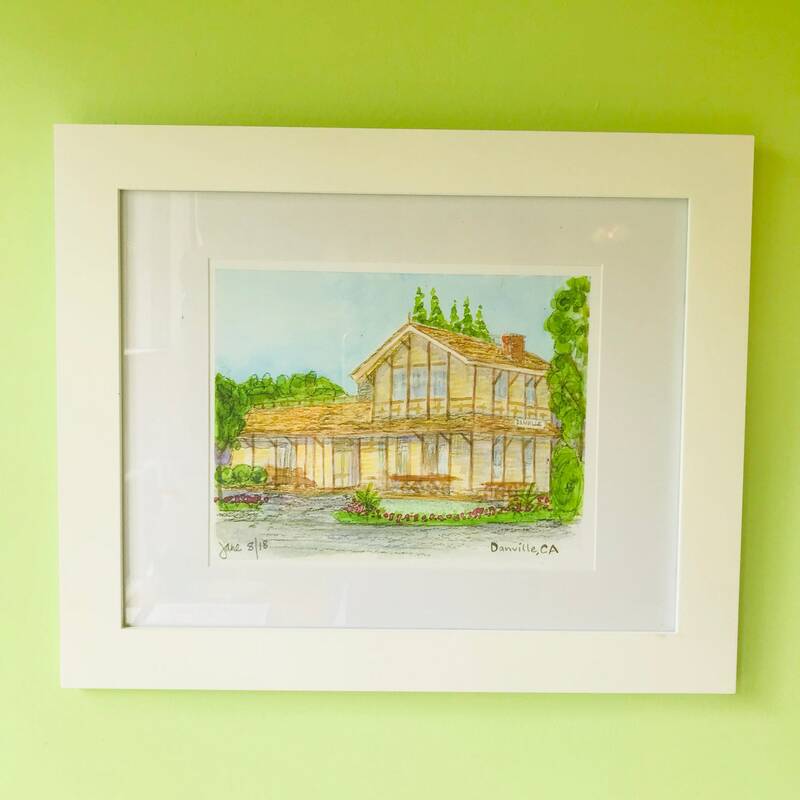 Image size is 7 x 9 inches matted to fit in an 11 x 14 inch frame (frame not included). 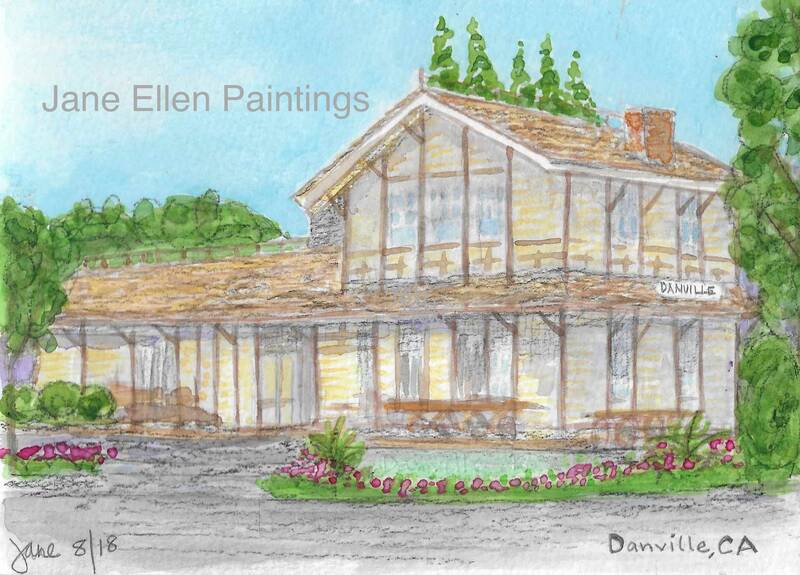 Image is from an original watercolor painting painted en plein air in the town by Jane Ellen Tercheria.